2014 marked Donald Duck's 80th Year! 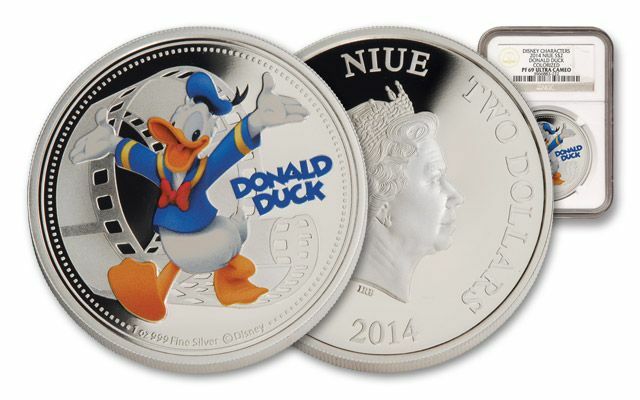 It's America's favorite disgruntled duck in one ounce of silver! In 1934, Walt Disney wanted a character that was a little bit cranky to serve as a foil for Mickey Mouse, and he came up with Donald Duck. 2014 marked the 80th anniversary of the character ©Disney described as "a problem child." This showoff with a short temper was formally known as Donald Fauntleroy Duck, and he became one of Disney's most beloved characters. Every episode was a new adventure, and it was a special treat when love interest Daisy Duck and nephews Huey, Dewey and Louie shared the limelight. 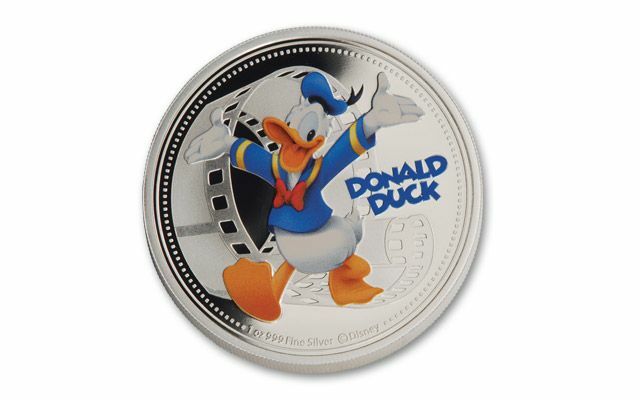 Now, you can own this legal tender $2 Silver Proof to commemorate your favorite childhood memories. 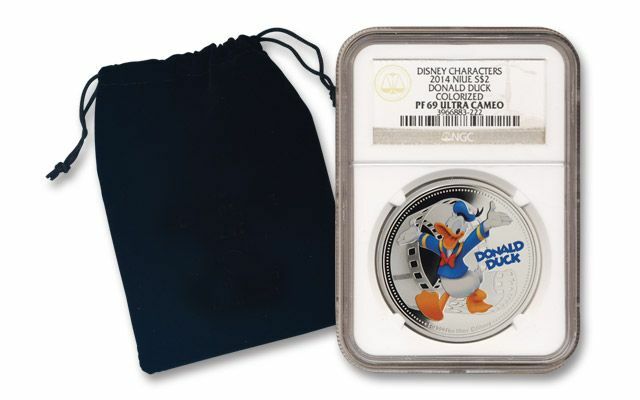 Donald is depicted in color on the 2014 One-Ounce Silver Donald Duck Proof wearing his signature blue sailor suit with a bow tie with a film reel in the background. Each legal-tender colorized proof contains 31.13 grams of 99.9% silver and is graded Proof-69 (PF69) by Numismatic Guaranty Corporation (NGC), and sonically sealed in an acrylic holder. 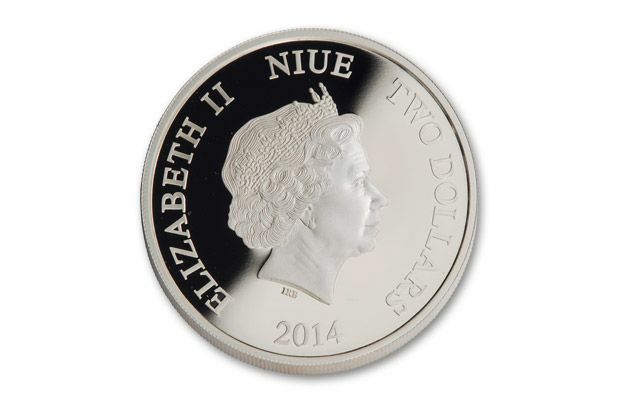 In addition, each legal-tender $2 proof features an official profile of Queen Elizabeth II, and it's an officially-licensed ©Disney collectible! Don't miss your opportunity to share in the explosive popularity of this commemorative issue. Each comes with original New Zealand Mint packaging and numbered certificate of authenticity.